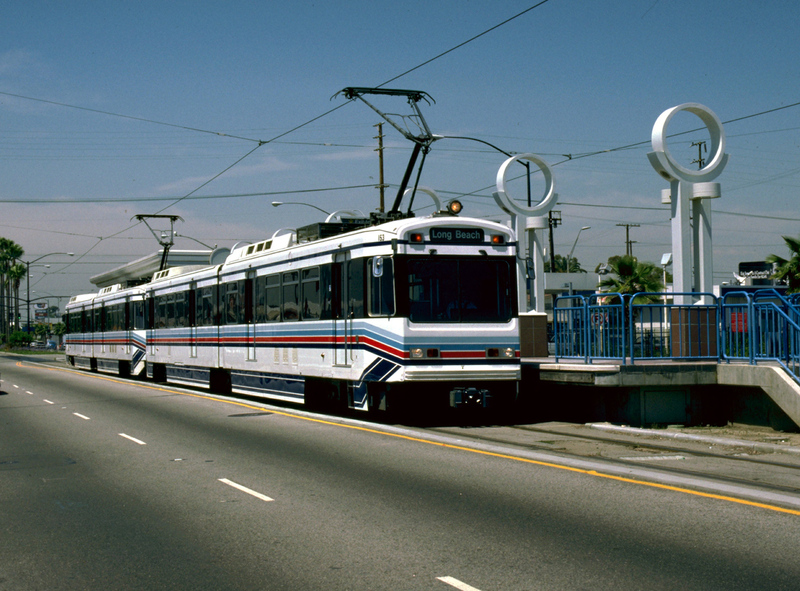 The Los Angeles Metropolitan Transportation Authority (LAMTA) is working toward making a series of modest but necessary improvements on the 27-year-old Blue Line light rail line connecting Downtown Los Angeles with downtown Long Beach. 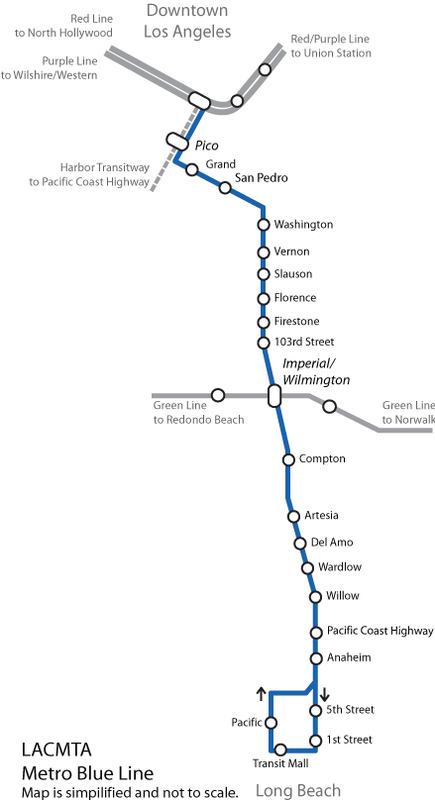 The 22-mile-long transit link was the first modern transit line built in the region and with 83,612 boardings per day, is considered one of the transit system’s workhorse lines. The LAMTA recently approved a $81.5 million contract to move forward on several practical improvements to the line that would boost efficiency, shorten disruptions caused by maintenance work, and speed up overall travel. The biggest item on the list of improvements for the line consists of the addition of four new interlocking segments to the route. Interlockings provide opportunities for trains to bypass certain segments of track in the event of a stalled train or while maintenance work is being performed on a certain section of track, for example. The transit line currently features only six such interlockings, a situation that can create waits of up to 40 minutes when track maintenance is being performed. These delays typically disrupt service for several hours after the fact, when they do occur, snarling the transit system’s already spotty on-time performance throughout the day. The new interlockings are expected to reduce these types of delays substantially, allowing trains to run every 15 to 20 minutes or so, while maintenance work is performed. The transit authority has also begun switching out the line’s aging fleet with new rail cars. The line’s train fleet has not been substantially upgraded since the early 1990s, so the aging Kinkisharyo P865 trains will be replaced by newer P3010 trains, the same locomotives that run on the system’s Gold and Expo Lines. The first of the new trains went into service in May of this year and are going be completely rolled out by the end of 2018, according to The Source. Long Beach is also working toward implementing a long-delayed light synchronization improvement plan throughout the line’s final stretch in downtown Long Beach, Longbeachize reports. The improvements would coordinate traffic signals along the parallel and intersecting streets that run around the transit line in order to assure Blue Line trains hit green lights at each intersection, speeding the line’s passage through the downtown area. Delays along this stretch due to the lack of synchronization reportedly increase travel times by between five and 30 minutes. The transit authority has also studied creating express lines between Downtown Los Angeles and Downtown Long Beach but has not released any plans to implement such measures.